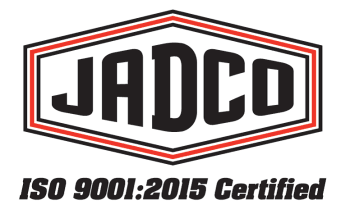 JADCO Manufacturing, Inc. announces that it has received accreditation for ISO 9001:2015. “This accreditation shows how committed JADCO is the quality of our work and products. 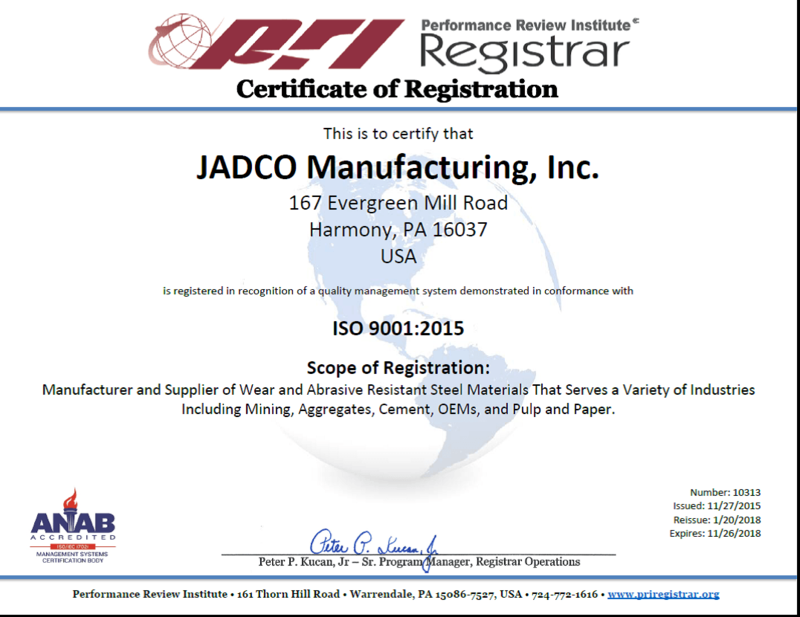 We are pleased at the effort behind this and will continue to do to keep quality at our forefront,” says Sam Anderson, President of JADCO Manufacturing, Inc.
JADCO Manufacturing, Inc. received accreditation for demonstrating their ongoing commitment to quality by satisfying customer requirements and industry specifications.